Analytics or metrics or whatever you choose to call how a business performs can not lie – as long as you ask the right questions and track the right things. A Bain survey of executives at hundreds of companies around the world revealed that only 4% of companies are really good at analytics. The subtitle of the survey report – How analytics differentiates winners sheds some light on the findings and importance of data. The survey is heavily focused on enterprise firms and leans towards discussion of “big data,” but the lesson is universal. For any business to have the full picture of the health, growth and status at any given time they need to build dashboards that give them the most up to date information that is tied to their overall objectives. Because that’s where the truth in your business lies. Few businesses, regardless of size, obsess over numbers as they should. My guess is that the reason for this is that while it’s one of the most important elements, it’s also one of the hardest to set up and analyze for someone that’s typically answering the phones, going on sales calls, fixing broken links and doing the work for which customers pay you. Another factor may be that they get overwhelmed by the amount of things you can track. When it comes to analytics what to track is simple – track what matters most. I’m tempted to scream the Jack Nicholson line from A Few Good Man – “you want answers?” “I want the truth.” “You can’t handle the truth!” – but, of course, I think you can and you must. Now I know that may seem obvious, but stop for a minute and ask if you could come up with less than six numbers that would tell you everything you need to know about your priority initiatives. There are things that you need to track over time for reporting, forecasting and goal setting, but there usually only a couple things that matter day to day, week to week, regarding your current highest payoff priorities and those need to go on a dashboard that you can visit daily. 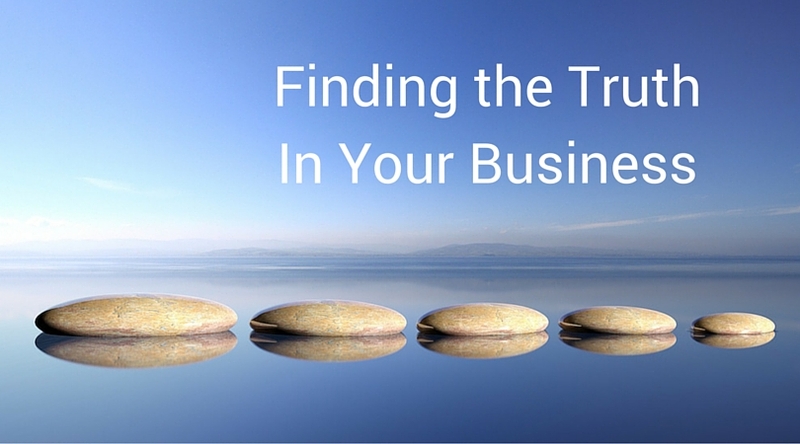 Now, no one can tell you what that handful of metrics should be, but when you discover them and focus on them – you’ll have access to the truth about your business. Let me give you an example. Most businesses rely on referrals, but few track, analyze or even amplify that fact that they are quite referable. In these businesses we usually develop some systematic approach to referral generation and then we obsess over tracking referral actions. The key is to get as granular as you can so you are tracking things you can impact with campaigns, tweaks and processes. So in my example above you might start by obsessing over reviews or testimonials as a way to measure the type of satisfaction that leads to more referrals as opposed to simply keeping score of referrals received. I find it helpful to think in terms of four distinct dashboards. One for marketing, sales, finance, and customer satisfaction. The following tools are nice options for creating tracking dashboards and making them available to key staff members or advisors. Most also allow you to create customer elements unique to your business by using Google Sheets spreadsheets.